As a climate scientist, I am motivated by the potential for science to identify and mitigate the risks associated with a changing climate, especially as they pertain to our food system. Currently I am an Early Career Fellow at the Stanford Center for Ocean Solutions, where I coordinate our Oceans & Future of Food initiative. In collaboration with the Stanford Center for Food Security and the Environment, we are building a transdisciplinary research agenda on the role of the oceans within global food systems, in connection to food security, equity, poverty alleviation, marine ecosystems, and environmental change. Prior to coming to Stanford, I obtained a PhD in Oceanography (paleoclimate) from the University of Hawaiʻi at Mānoa, and was a Research Associate at the University of Washington, studying the impacts of a warming climate on crop yields, agricultural workers, and pests. 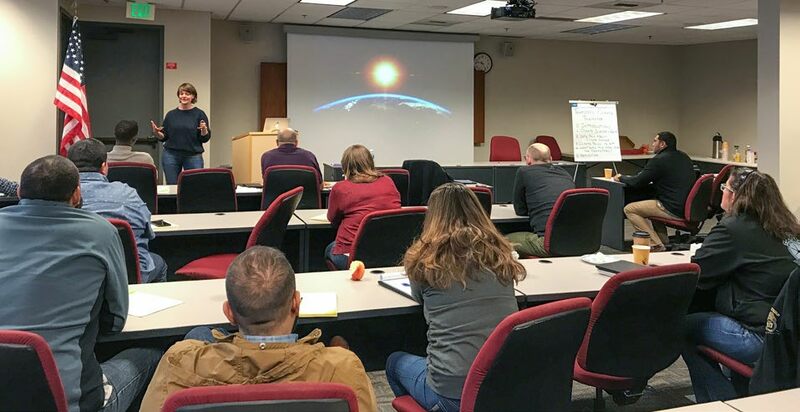 I am committed to improving the place of science in society, and have in the past served as a Science Communication Fellow with the Pacific Science Center, co-developed a climate conversations web-app, and prepared climate justice workshops for labor unions in Washington State. Teaching about sea level rise projections at the Climate Science Teaching Institute in Majuro, Marshall Islands. 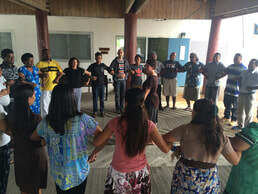 This is a selection of photos from a number of outreach activities I helped develop: the 2015 Climate Science Teaching Institute for Marshallese high school teachers; Meet-a-Scientist events at the Pacific Science Center; and climate justice trainings with labor unions in Washington State through the King County Labor Council's climate change speaker's bureau (read about these trainings here). 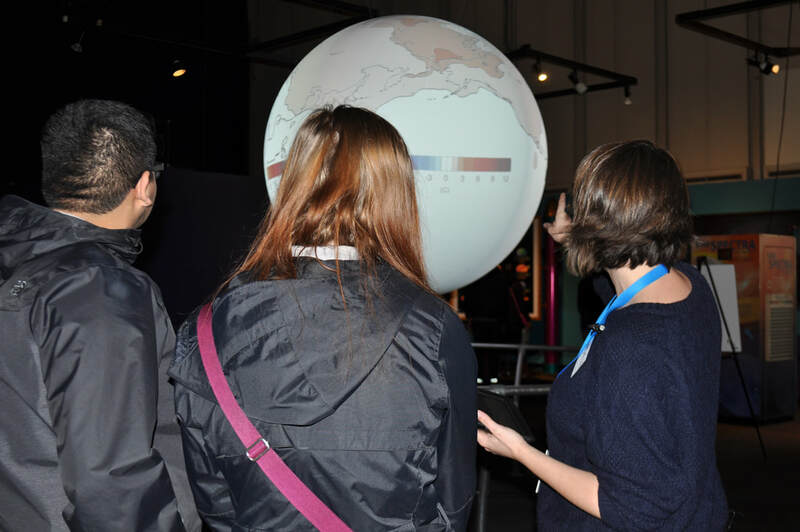 Presenting climate change projections on the Pacific Science Center's Science on a Sphere. Demonstrating a classroom activity about tides at the Climate Science Teaching Institute in Majuro, Marshall Islands. Talking to staff of Teamsters Local 117 about climate change in Washington State. Speaking with visitors of the Pacific Science Center about crop yields in a warmer climate.